Over the years, spending time in the outdoors has become a passion for me. As a new columnist for Vamoose (https://vamooseutah.com), I’m looking forward to sharing the outdoor adventures that I experience with my husband, Martin, and our border collie/co-pilot, Kihei, as we explore Utah and the West. My hope is that you’ll find our travelogue helpful as you plan your own journeys. I invite those of you who make campgrounds your home away from home to check out the blog or “Roam with a View” monthly column in Vamoose. My husband and travel companion, Martin, in front of Devil’s Tower in northeastern Wyoming. 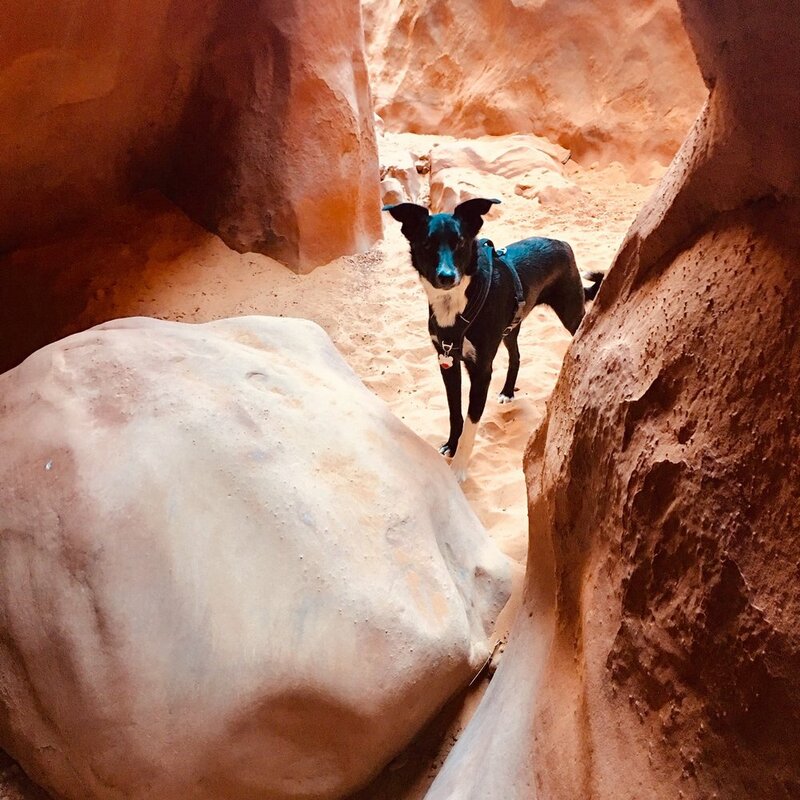 Our copilot, Kihei, exploring slot canyons with us in southern Utah. If she’s really good, sometimes we let Kihei take the wheel.